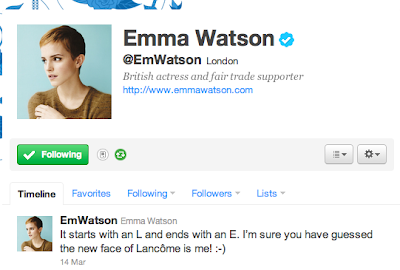 After dropping several hints in her official Twitter account, Emma Watson finally revealed her new project -- she is now the new face of LANCOME cosmetics! After the Pretty Woman, aka Julia Roberts, reference, I thought she was going to be part of the new Snow White movie where Roberts has been casted as the evil Queen. 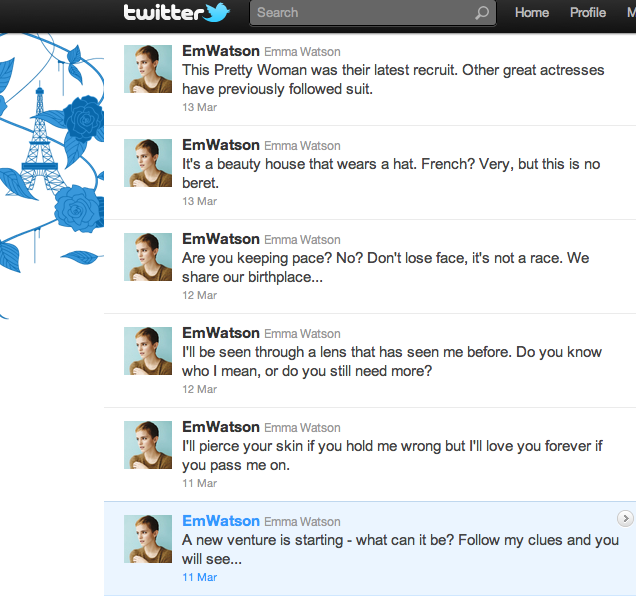 But I knew that it couldn't possibly be a new movie project, especially after the French related hints. What's more is that pictures of her new venture leaked online just a couple of weeks ago! The pictures revealed a very sophisticated and all grown up miss Granger sporting her adorable pixie cut and bright lips from the make up line. 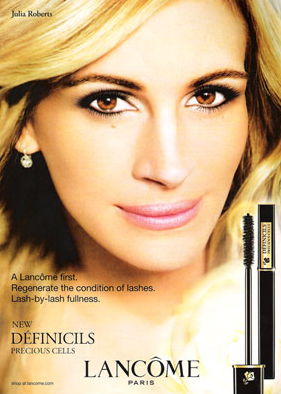 Companies using the celebrity status of famous names is definitely not a new marketing strategy. Fashion and beauty companies alike have been doing this since celebrity faces replaced models as the new cover girls of Vogue. Okay, that might have been a bit of an exaggeration, but you get the idea -- a very long time. However, using younger celebrities to be the new face of a brand to attract a younger demographic of buyers is a much newer venture. But not 2011 kind-of -new, remember when Mischa Barton became the face of the canvas shoe company, Keds? Keds is a shoe brand known to be worn by much older women and by making Mishca Barton as its leading lady, the company was aiming to target a much similar consumer base -- teens and adolescents. So Lancome may definitely be up to something similar after hiring Emma Watson to be its new marketing attraction. 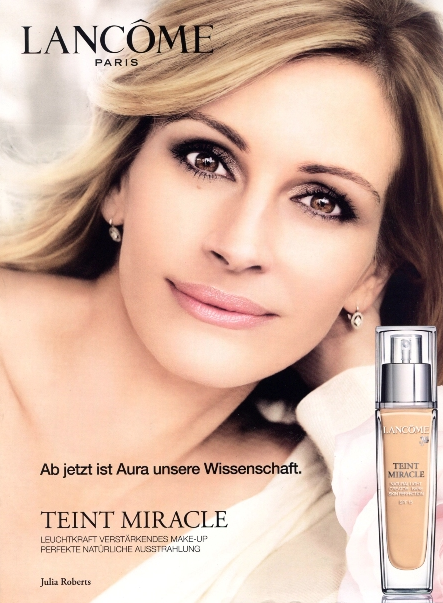 The cosmetics brand is known to be used by older women, after all. Enough fashion marketing lessons for the day, come take an exclusive look at new behind the scenes images of Emma Watson for Lancome!